The warm temperatures have really changed the feel at DeKorte Park. Plenty of waterfowl are back, in time for Friday's Great Backyard Bird Count nature walk. 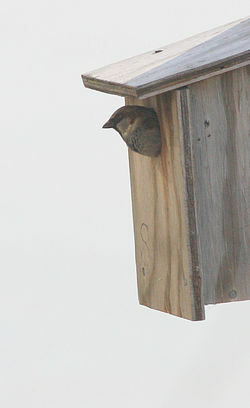 House sparrows are house-hunting — in the Tree Swallow boxes (at right), unfortunately. A killdeer just flew over the Administration Building. The bad news: Now when we see a large bird in the sky, it as likely to be a gull as a raptor. We saw only one Rough-legged Hawk today, and only one Marsh Harrier. Owners of the land that includes cul de sac off Valley Brook Avenue in Lyndhurst — where birders like to hang out in hopes of seeing raptors of all sorts — have locked the gates, at least for the time being. The owners want to cut down on the illegal dumping occurring back there, and who can blame them. The site will in all likelihood be locked at night. If the gate is open during the day, you should be able to drive into the cul de sac and do some bird-watching — so long as you stay near the road and do not trespass. If the gate is locked, you may drive over to DeKorte Park and park there, then walk (careful of traffic) over to the cul de sac. NOTE: It is illegal — and often dangerous — to park on Valley Brook, and you may be ticketed by Lyndhurst police. We expect to have a key to the gate so we can look for raptors on the Bird Walk on Friday. The Meadowlands Commission is honoring Black History Month with a weekly post on this blog. Today the focus is on the Underground Railroad in Jersey City. Runaway slaves from the South took were several routes through New Jersey before and during the Civil War, but those escape routes all had one thing in common: They converged at Jersey City. By one estimate, as many as 70,000 runaway slaves escaped through Jersey City. 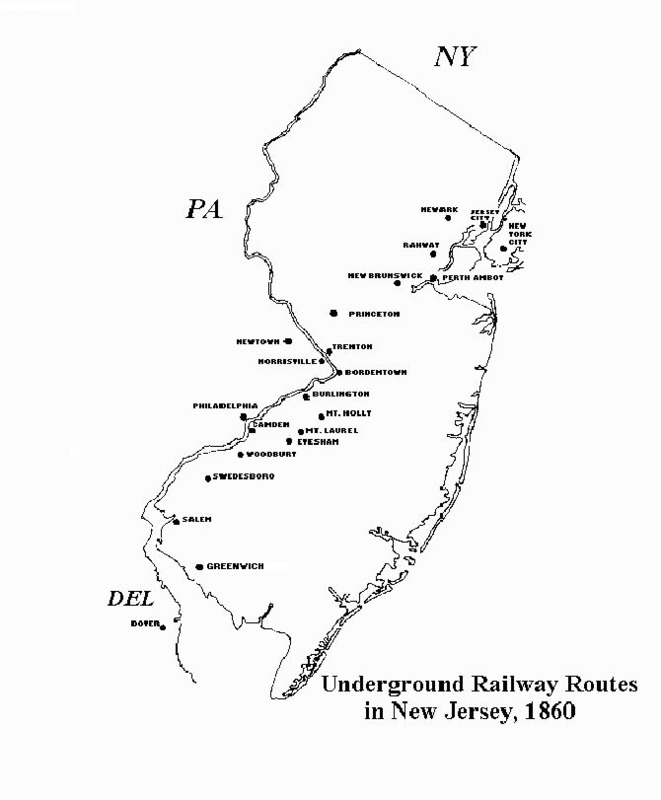 If you click on the map on the right (from the state of New Jersey's Web site), you can see the major New Jersey stops on the Underground Railroad. More on Jersey City's role in the Underground Railroad here. More about New Jersey's role here. For a glimpse of slavery in late 18th Century Bergen County, click here. And in honor of Abraham Lincoln's birthday tomorrow, here is a link to information on the Emancipation Proclamation.